Dr. Burrier is a career technology executive with experience in pharmaceutical research, ‘biosupplier’ product development, and biotech services. While working in pharma, he participated and led programs resulting in drugs currently on the market including Zetia, Vytorin, and others. 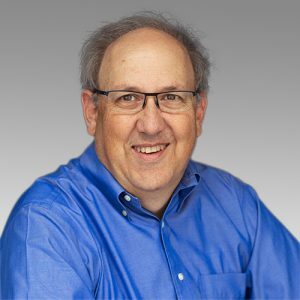 He is very experienced in assays and paradigms used for drug discovery having participated in over 150 drug discovery programs while working for Schering-Plough, Eli Lilly, GelTex, and Genzyme. In the Biosupplier arena, Dr. Burrier led teams to innovate on an ongoing basis in the areas of cell biology, cell media development, assay development, and workflow improvements with companies including Invitrogen, and EMD Millipore (Merck). The markets around which these programs were based include academic and industrial cell biology research, stem cells and regenerative medicine, as well as biotherapeutic protein production. Dr. Burrier joined Stemina to bring his expertise of cell biology, assay development, scientific operations, program management, and organizational effectiveness to facilitate success and to continue to fulfill his interest of continually improving human health. Oliver Fiehn, Ph.D. David G. Amaral, Ph.D.